It's a big 50th anniversary week for Allan Sherman. August 4, 1963 - With “Hello Muddah” a hit and Sherman about to begin his week as guest host of Tonight, the most important newspaper in America finally gave in and recognized his existence. On August 4, 1963, the New York Times ran a fastidious feature on the performer that somehow managed to avoid using the word Jewish. August 6, 1963 - Sherman gives Bill Cosby the big break the young comedian had been thirsting for: his first appearance on the Tonight show. 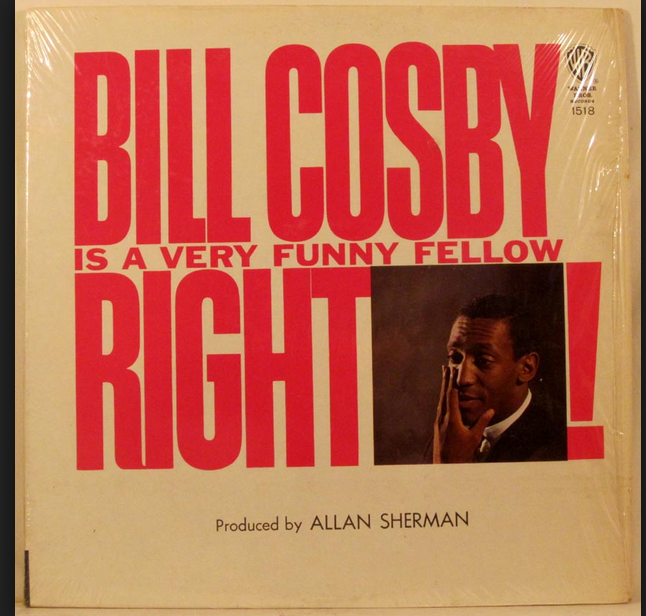 This leads to Sherman producing Cosby's first album. I believe Cary Grant responded to Allan Sherman by letter -- a very nice letter, I think. Mr Sherman shared the letter with the audience and then launched into a soliloquy on the basic human need to be "Cary Grant" -- the need to be accepted, liked, well-thought-of. It was a very touching piece. Mr Sherman could do that. He could touch very deep chords and sensitive issues, and yet keep it light and humorous.